WHEN talking about the biggest sporting events on the planet, most people would declare the Summer Olympic Games as the benchmark. To make it all the more special, the 2016 edition is being held in one of the world’s most recognisable cities, Rio de Janeiro, starting from August 5. This will be the first Olympiad to take place in South America, and only the third – after Melbourne 1956 and Sydney 2000 – to be held in the Southern Hemisphere. If the Brazil 2014 World Cup is any indication, sports fans are in for a real treat. Rio will welcome 206 countries to compete for 4,924 medals across 42 sports, which will take place in just 17 days of sporting action. That means two-and-a-half weeks of pure delight for punters, who will have thousands of Olympic betting markets to indulge in at our top-ranked online bookmakers. 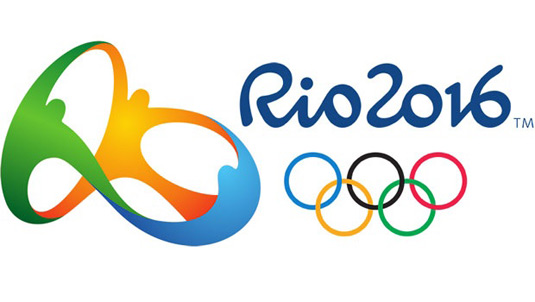 It is not every year that a sport is introduced to the Olympic Games, but Brazil 2016 will be an exception. Golf is once again an Olympic sport after a layoff of 112 years. Both men’s and women’s events will be held at the purpose-built and inspiringly named Campo Olimpico de Golfe (literally ‘the Olympic golf course’). Also back in the mix is rugby, which hasn’t featured since the 1924 Olympics in Paris. The format played will be rugby sevens – a new, faster version of the game that is designed to be more aesthetically pleasing to the casual fan. Being the most diverse and all-encompassing ensemble of events means there are countless options when it comes to betting on the Olympics. But what are the main markets punters should be looking at? Olympics gold medal betting is as simple as it sounds. All you need to do is pick who will go on to win the event. If you choose wisely, you win. Futures markets give you the option to bet on Rio 2016 gold medal results many weeks before the athletes trot out for the opening ceremony. You can also place bets on which nation will finish top of the medal tally. For the best odds possible on every event at the Rio Olympics, check out the enormous range of gold medal markets available now at trusted bookies such as Sportsbet. If you would prefer to bet on a specific athlete or athletes at the Olympic Games, there are plenty of markets around to facilitate your punting needs. For example, there are a number of online betting specials for Usain Bolt winning both the 100 and 200m Olympic gold medals. There are also a number of betting sites that offer specialty markets for specific national teams. For instance, some bookies are running over/under lines on how many gold medals the Australian team will collect, along with options for specific events such as basketball, cycling and golf. If there is one thing the Olympics provide it is a plethora of sport, but sometimes that is not for everyone. So are there any options out there for punters who would rather place their money on something a little more obscure? All the best online bookmakers have novelty markets set up on the Olympic Games, with options ranging from who will be their country’s flag bearer to who will be announced as the next host city. See the options at William Hill. These games will be the first ever Summer Olympic Games held in South America. The Rio Olympic Games will be the first to feature athletes born this millennium. As part of Rio’s regeneration in preparation for the Olympics, the government built 43 miles of new roads, planted 15,000 trees and created 250 square miles of new pavements/sidewalks in anticipation. Unlike recent Games, Rio will be utilising its natural surroundings for a lot of the events. Copacabana Beach will host the beach volleyball, triathlon and long distance swimming, while the yachtsmen have the use of Sugar Loaf and Guanabara Bay, and the rowers the Lagoa Rodrigo de Freitas and Corcovado.